The best security cameras are able to deter criminals from entering a private residence. If a theft should occur it is important to have the best security cameras available in order to identify the assailant. It is not worth investing in poorly functioning cameras as this will not give the desired results. By utilizing cameras with perfect visual clarity and an acute sense of sound you will be able to properly secure the designated areas. There are certain guidelines by which to follow when searching for the best security cameras. There countless options available for homes or offices, all of which provide various pros and cons. Sometimes a simple dome camera is all that is necessary, while other times the area may require a more durable and high-end product. Choosing the correct camera depends on needs involving the location, lighting and external conditions. Most cameras are able to film in color or black and white, while also being able to switch to an infrared LED for nighttime vision. Some cameras may operate on a motion sensor activation which can help keep costs down while saving operating power. These are ideal for rooms or even large business at night. It is necessary to choose the highest resolution possible as this is the only way to guarantee that the theft is brought to justice. It is important to choose a security camera that has a DVR compatible outlet. The transmissions are often wireless but the crucial component is that it ends on a DVR system. A DVR system will allow for instant and high-resolution footage while saving it permanently on its drive. It is also important to view the footage from a proper screen in order to get the maximum clarity. Many cameras can now send the feeds directly to a mobile phone or laptop, which can help to maintain security while in a distance. The best security cameras are often the most effortless to use. Too many useless features can bog down an otherwise perfect machine. The ideal security camera will not be too difficult to install. This will ensure that the product can be used anywhere and be set-up without fail. The best security cameras for outdoor use are encased in a protective casing. These cameras are usually encased in metal and have a protective plastic casing over the glass lens. This ensures that the camera can withstand even the harshest of conditions while still delivering the quality necessary for recording footage. Indoor cameras are generally lighter as they are not made to withstand any rough terrain. One of the best security cameras on the market is the Lorex home security kit. It is a culmination of everything worth purchasing in a home security system at an affordable price. The kits can come in a package containing 4 to 16 cameras. Each camera has a renowned high-resolution picture quality and display. Each camera has a resolution of 640 x 480 pixels for maximum quality. The quality is more than enough to capture the details on any perpetrators’ face. Each camera is designed to adjust its settings depending ont he conditions. When it is nighttime the camera will automatically activate 18 infrared LED lights in order to properly illuminate the footage. The infrared LEDs can detect over 50 feet away from the camera, making the Lorex one of the best deals for night vision recording. In order to save costs and storage memory, Lorex cameras utilize the option to activate the motion sensor beam. This feature will activate the cameras only when motion is detected thereby saving hours of endless footage. This not only makes viewing the tapes easier but saves an enormous amount of expenses as well. The DVR drive will not be clogged with needless tapes or footage, leaving only the most essential components of the footage available. Another renowned security camera is the SVAT security system. This company has produced some of the best security cameras on the market today. Each SVAT security camera has the highest resolution possible at 720 x 480. This resolution is the same as any high-definition television. Each camera has light sensored infrared LEDs to enable night vision once it gets dark. The span of vision is not as strong as the night vision only extends to 15 feet. The SVAT recording and viewing options are some of the best in the industry. The camera records on a H.264 compression which allows for maximum storage space and battery longevity. The compression can last for a month of idle use which allows the camera to operate without fail. The minimum resolution is a fantastic bargain yet the visual presentation is still top notch. The included VGA connectors allow for easy and instant DVR access. This can produce a high quality viewing resolution in order to fully examine the footage. It enables the viewer to set up multiple feeds from different cameras at once. This gives the viewer the full panoramic view of the area which helps to increase security at all times. The SVAT and Lorex systems are both very easy to install. Ease of installation is important as a wrongly installed camera will not properly secure the area. Both can be installed without the additional use of professionals. It also allows for the user to easily change the set up of the security panels at any given time. It is important to decide whether a wireless camera or a wired camera is best for the space provided. Both forms of set up have their own advantages and disadvantages. Wireless cameras give a higher resolution no matter how far away they are from the receiver. Wired cameras may be more difficult to install depending on prior installation experience. Wireless cameras are generally easier to install as they only need to be properly fastened and turned on. Yet these cameras will lose transmission quality depending upon how far away they are from the receiver. Weather conditions can also impair the functions on wireless cameras. A stormy night can cause the wireless signal to stutter and become unclear. Outdoor cameras should generally be wired as this allows for an unlimited stream of the area. To get the best security camera for each requires a little bit of research. It may be necessary to get different cameras depending on the lighting situation of each area. Poorly lit areas may require infrared capabilities and a higher resolution in order to properly record. Areas that are exceptionally bright may need a higher resolution camera in order to tone down the glare. Any excessive glare will render the footage and poorly lit areas will be hard to decipher when viewing. Black and white cameras are often the best security cameras for a number of reasons. The image quality is still good enough to capture any criminal’s facial features. These cameras are often less expensive than their color counterparts. Color cameras may be necessary is certain instances yet these are often an indulgence and not entirely necessary. Black and white security cameras are perfect for homes or offices. Most color cameras will also switch to black and white depending on the environment. It is important to have a camera that can adapt to any changes in weather or lighting. The best security cameras will instantly switch on infrared or adapt to low level lighting by switching to black and white. It is also necessary to decide upon the style of camera that will best fit the area. A domed camera is great for capturing wide angles and is perfectly situated in any corner. For a more direct focus a bullet camera can be placed above for capturing long distances. This is great for driveways or large stretches of space in the backyard. A C-Mount security camera allows for great clarity even beyond 35 feet. It can capture the essential facial features of anyone 35 feet away. These cameras are best for offices or outside of large complexes. It can capture every moment leading up the crime and the entire getaway. There are industrial security cameras for any place where a law permits. These cameras have thermographic capabilities which allows the camera to detect any dangerous levels of heat in the area. 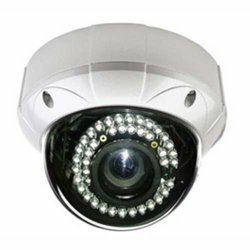 These cameras are of the highest quality and are perfect for industrial areas or construction sites. With all of the options available the best security cameras are often the simplest. There are various security cameras perfect for any location or purpose. There are security cameras that can capture any intrusion at home at an inexpensive cost. For offices or larger spaces there are more advanced cameras that contain motion sensors to follow the perpetrator. Some cameras may go into sleep-mode and only be activated depending on movement. Motion sensor cameras are great for closed offices or any place where movement is not constant. The best security cameras are able to adapt on their own to the environments. It is important to have a security camera that can change to black and white or infrared depending on the lighting. 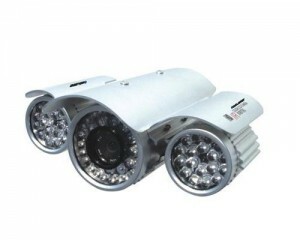 There are security cameras readily available for any purpose and at any price. Some cities are more prone to crime than others. Whether it's due to drugs, poverty, or just luck of the draw, some cities make it difficult for the honest person to live a normal life. If you currently live in one of these U.S. cities, then you should consider a security system immediately.